Whatever their background, non-students being in the library is not a crime. In the six years that Gabriel Castaneda, assistant supervisor and former CSUN student, has been working in the Oviatt Library, he recalls about five community members, assumed to be homeless, that came into the library weekly. None of them gave him much trouble, he said. “They keep to themselves. They are quiet most of the time and don’t really bother anyone,” said Castaneda. “After a while, we even get to know them. We develop some type of relationship like anyone else who comes here regularly,” he added. 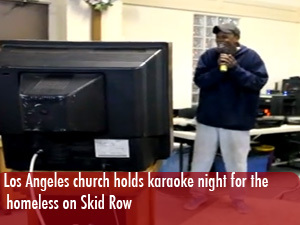 Most of these presumed-homeless use the computers on the first floor and sleep on the fourth floor on a daily basis. Some of them do pick up books or old newspaper archives and spend a whole day reading them, according to circulation services supervisor Mike Villalobos. “They usually like to stay on the fourth floor because it’s quieter. They also like to check out the magazines and newspapers that are up there,” Villalobos said. Most of them enjoy coming to the library to learn and to pass the time, he added. Current and past library employees agreed that compared to students, the presumed-homeless would rather read old newspaper clippings or read old documents as opposed to newer materials. This is due, presumably, to most of them being a lot older than most CSUN students. 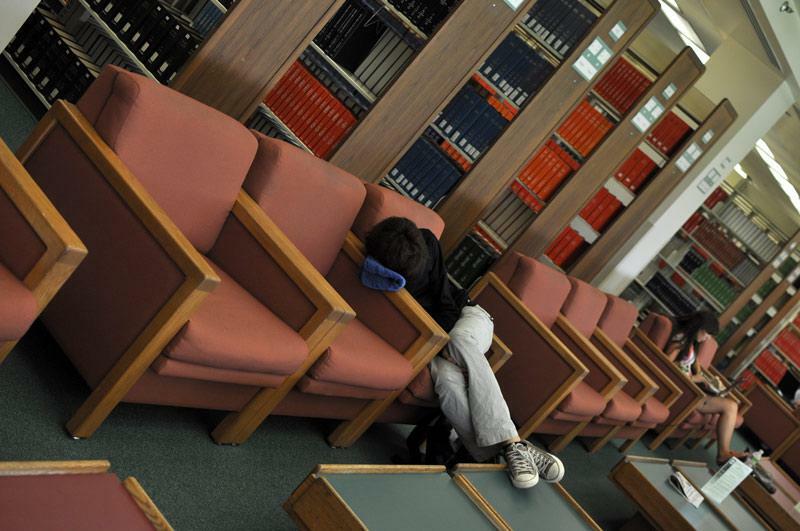 According to Estevan Roches, a former CSUN student and Oviatt employee, there have been occasions where people have broken library rules by finding a way to hide in the library and spend the night. This is one of the more common incidents the library has had to deal with regarding the homeless. Due to it, the library had to implement new closing procedures that the closing staff had to incorporate on their nightly checklist before closing. Patrons using library restrooms to bathe is another problem that library staff has had to deal with. Problems like these rarely happen–but they do happen, Castaneda admitted. “About 95 percent of them abide by the rules and give no problems,” he said. To Castaneda, they do not come into the library to cause any trouble. They just want a place to relax. The number one problem that arises is that students do not understand that community members have every right to be in the library. “The biggest challenge is to get students to know they are not breaking the law. According to the University Policy, they have a right to be here,” Villalobos said. Since CSUN is a public institution, it must allow community members to use the library’s facilities—although CSUN students do have first priority over campus visitors. Castaneda and Villalobos want students to understand that, as long as they are not causing any trouble, the library remains open to students and non-students alike.